– A 22-year-old man has been charged in the murder of rapper XXXTentacion. 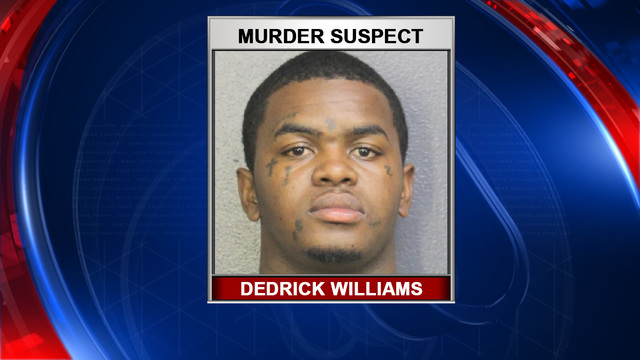 Dedrick D. Williams was arrested by Broward County deputies Wednesday evening and charged with first-degree murder, according to the Sun Sentinel. The Broward County Sheriff’s Office said Williams may be involved in the shooting death of 20-year-old XXXTentacion, whose real name is Jahseh Dwayne Onfroy. The rapper was pronounced dead Monday evening after an apparent robbery attempt. Deputies said he was ambushed and fatally shot by two suspects as he left a Deerfield Beach motorcycle dealership around 4 p.m. Monday. Williams also faces charges of grand theft and operating a vehicle without a valid driver’s license. It’s unclear whether deputies are searching for another suspect.